Dr. Ehtesahm Hussain teaches in the department of Statistics at University of Karachi, where he holds a position of Associate Professor. He received his PhD in statistics from University of Karachi. Where his research work is based on Stress-Strength Models with reference to Lindlay Distribution. He has a vast experience of teaching various courses; Mathematical Statistics, Statistical Inference, Computer programming ,Numerical Analysis , Operations Research , Application of Linear Programming and Simulation Techniques to graduate and post-graduate classes. Since(1993) several students have completed their technical research reports on Applied and Theoretical Statistics under his supervision and guidance. His general research interests focus on ; Data Analysis, Application of Mathematical Statistics , Business research modeling and Applications of Linear Programming. 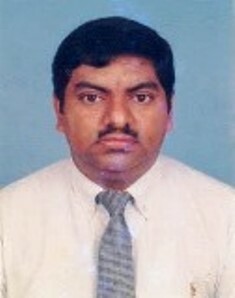 He has presented several papers in different topics of statistics at international, national seminars and conferences.